As part of Vincentian Heritage Week, Niagara University took time on Thursday, the feast of St. Vincent de Paul, to recognize six individuals who have lived the mission of St. Vincent in their personal lives. The annual convocation ceremony is a Vincentian Heritage Week tradition that highlights those who inspire us through their outstanding work in the spirit of St. Vincent de Paul. Sister Nora Gatto, D.C., campus minister for retreats and faith formation at St. John’s University, was presented with a Doctor of Humane Letters honorary degree for her life of service to the Vincentian community. David B. Taylor, Ph.D., associate professor in Niagara’s department of criminology and criminal justice was presented with the Vincentian Mission Award for his continued committed to serve the Niagara Falls community. Kenneth Sass was presented with the St. Vincent de Paul Medal for his 25 years of dedicated service at Family & Children’s Services of Niagara, the past 21 as the president and CEO of the organization. The Rev. Elmer Bauer, C.M., ’87, provincial treasurer of the Eastern Province of the Congregation of the Mission, was honored with the St. John-Gabriel Perboyre Award for his committed Vincentian service. The St. Louise De Marillac Award for Outstanding Service was presented to Yasmine Cajuste, project development manager for the FAMVIN Homeless Alliance. Following the awards, the Very Rev. 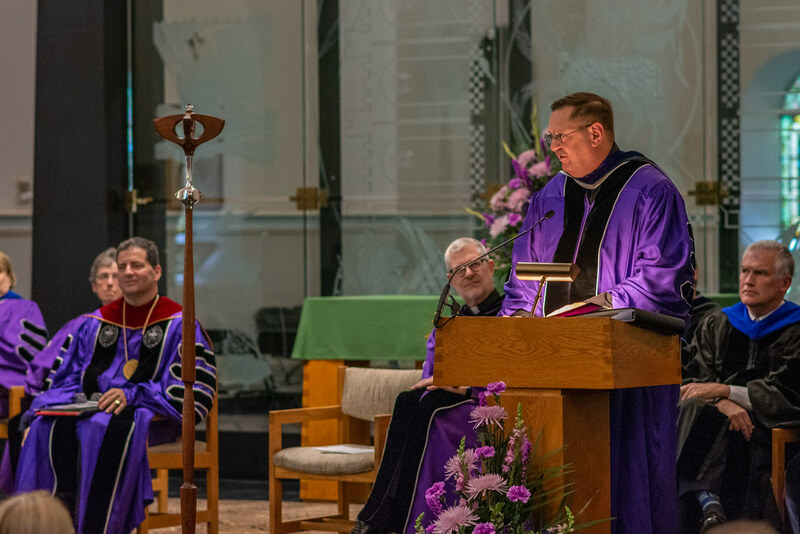 Stephen Grozio, C.M., ’75, provincial superior of Eastern Province of the Congregation of the Mission, provided a captivating keynote address, highlighting care, compassion, and collaboration, and the legacy of St. Vincent de Paul in today’s society.